Every few months in my blog I present my own translation of a chapter from Lu Yu’s ‘Classic of Tea’, written about AD 760-780. In Chapter 6 the ‘tea saint’, Lu Yu, runs through the history of tea (he’s describing the Boiled Tea era in which he lived, of course, which was followed by the Whisked Tea era, which pre-dated the Steeped Tea era that we live in now). Lu Yu writes that crawling or creeping animals, winged creatures that fly and humans with the power of speech all need water to survive. We humans drink plain water to satisfy our thirst. We drink alcohol to remove stress, worry or sadness. Tea, we drink for a clear head. According to Lu Yu tea as a beverage started with Shen Nong (神农氏), also known as Emperor of the Five Grains. 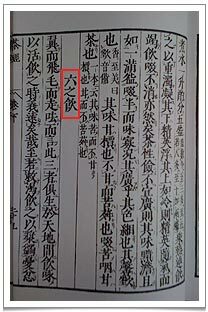 This is confirmed by “Lu Zhou Gong” (鲁周公 Duke Zhou of Lu), who wrote “Er Ya” (尔雅), one of the earliest of all encyclopaedias. At the foot of Big Snow Mountain in Yunnan province I have seen the huge statue of Shen Nong, the ‘divine farmer’, outside the temple dedicated to him. Local legend has it that he discovered tea in that place, where the oldest wild tea trees still survive, and this is how: he was said to climb high mountains to collect plant samples to see which were poisonous, observing their effects through his crystal stomach. One day, after consecutively tasting 72 poisonous herbs, he finally tried the leaf of the tea tree and suffered no ill effects, ie the tea nullified all those poisons! His discoveries were written down in the “Shen Nong Ben Cao Jing” (神农本草经) written during the Eastern Han Dynasty (AD 25-220). It is recorded that nine famous figures were passionate tea drinkers, including An Ying 晏婴 (prime minister of the ancient state of Qi (齐) somewhere between 771 and 403 BC), Yang Xiong 揚雄 (a Chinese Daoist, poet and author from modern Sichuan, 53BC–AD18) and Si Ma Xiang Ru 司马相如 (known for his poetic skills, wine business, 179–117BC). One of them, Liu Kun 刘琨 (a politician, poet and musician, AD270-317) famously wrote in a letter to his nephew that he relied on dried ginger, cinnamon, scutellaria (a member of the mint family) and tea when he suffered from mild depression and anxiety over affairs of state. Lu Yu goes into more detail about these historical matters in Chapter 7. 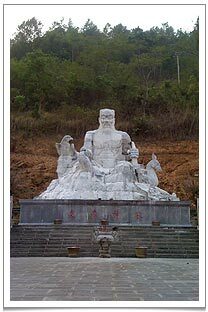 The huge statue of Shen Nong – a mythical character known as father of Chinese agriculture. 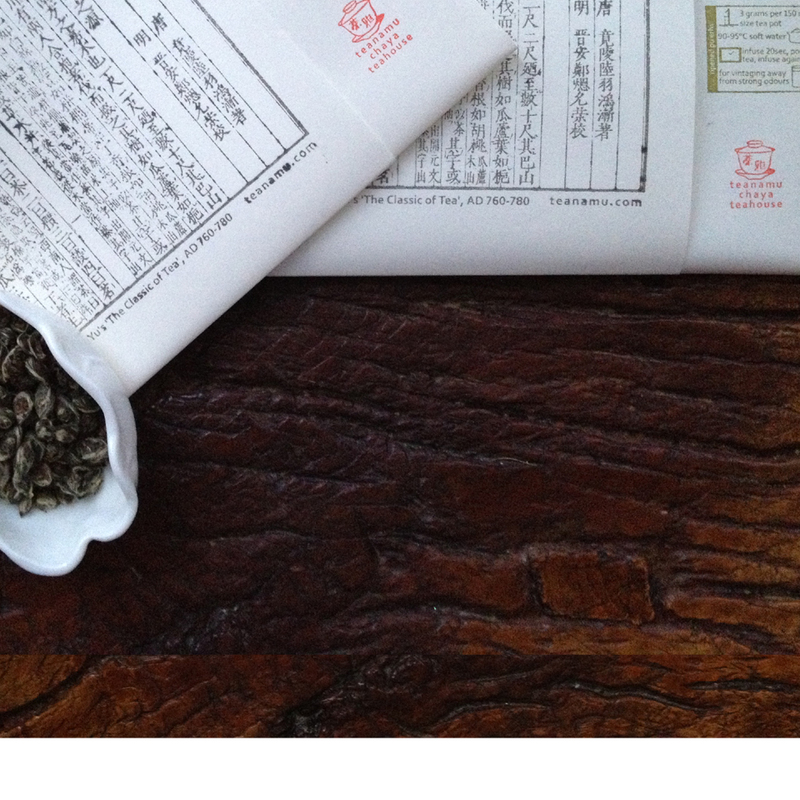 In due course, wrote Lu Yu, the custom of daily tea drinking became widespread. From the time of the Tang Dynasty (AD 618-907) tea was very popular in the capital cities of Chang An (长安, modern day Xian 西安) and Luo Yang (洛阳, modern day Western Henan). In Jing Zhou (荆州, in Hubei province) and Yu Zhou (渝州 in Chongqing province) too, practically every family enjoyed the pleasure of tea. Lu Yu writes that the four different types of tea are rough tea “cu cha” (粗茶, comparable to Japanese Kukicha tea), loose tea “Shan Cha” (散茶), powder tea “mo cha” (末茶 comparable to Japanese Matcha green tea powder) and cake tea “bing cha” (饼茶). Cake tea, says Lu Yu, is cut open with a knife, pan fried, dried, crushed, then put into a bowl to which boiling water is added (this method is known as submerging or soaking i.e. infusing the tea). Some people add spring onions, ginger, dates, orange peel, mint or Zhu Yu (茱萸, Cornus Officinalis aka Japanese cornelian cherry). Then the tea is boiled again, the scum removed (while boiling is still going on) and a ladle used to continually pick boiling tea up out of the pot and then put back into the pot (in an attempt to render the tea smoother to drink and clearer). This kind of boiled tea, opines Lu Yu, is as undrinkable as the waste water you pour down a drain! Alas, laments Lu Yu, Heaven created us all wonderful creatures with unique, amazing qualities! But we humans are good at seeking the easy and superficial. We live in cleverly constructed houses that protect us, wear delicate clothes and consume delicious, exquisite food. Tea however is not one of these things. 1) Processing, e.g. don’t harvest tea leaves on a cloudy day then roast them at night. 2) Identification, e.g. don’t rely just on your mouth and nose. 3) Equipment, e.g. don’t use a stove or bowls tainted with meat. 4) Heat source, e.g. don’t use wood or charcoal tainted with meat or wood that’s too smoky. 5) Water, e.g. don’t use a water source that’s either too fast flowing or stagnant. 7) Crushing, e.g. don’t crush tea leaves too finely so that they become a green powder. 8) Boiling, e.g. don’t stir the pot too fast, fumble or use odd movements as it will adversely affect the tea. 9) Appreciating, e.g. only drinking tea in summer and not winter means you do not know much about tea. For really exquisite, precious tea, one lu (炉 stove pot, see list of tea utensils in Lu Yu Cha Jing Chapter 4 Part I) makes three wans (碗 tea bowl, see list of tea utensils in Lu Yu Cha Jing Chapter 4 Part III) of tea. For slightly lower quality tea, one lu makes five wans. If you have 5 guests pour three wans of the really exquisite tea and share them amongst your guests. If you have 7 guests pour out 5 wans of the slightly lower quality tea and share them amongst your 7 guests. If you have fewer than 6 guests, don’t worry about how many bowls of tea to brew: just prepare 5 wans and supplement it with “juan shui” (隽水, ‘juan’ means ‘the best’, and juan shui is the the first scoop of tea taken from this pot – see Lu Yu Cha Jing Chapter 5).